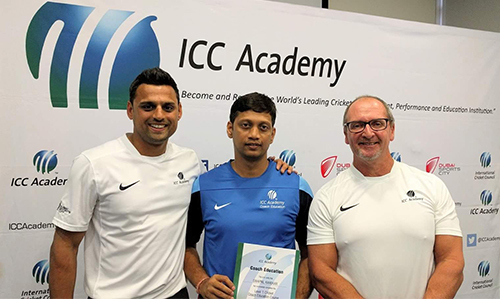 Cricket coach Swapnil Karekar is a certified coach by International Cricket Council Academy (ICCA). 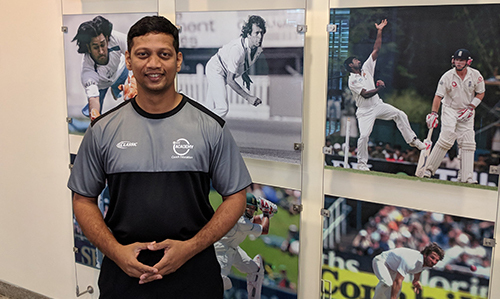 ICC Level 2 Coach at ICC Academy - Dubai, UAE in April 2018. Bio Mechanics for Cricket like Balance, Momentum, Power that are used in cricket. Personal Coaching and Team Coaching for learning and performance at competition level cricket. ICC Level 1 Coach Education in March 2017 at ICC Academy - Dubai, UAE. Planning environments, sessions and coaching systems for junior cricket and community cricket. Since 2015 he has been coaching in professional pathway to college and university cricket teams and club players. Swapnil Karekar has been coaching since 2006 in Mumbai - India to college teams, private coaching to club level players.